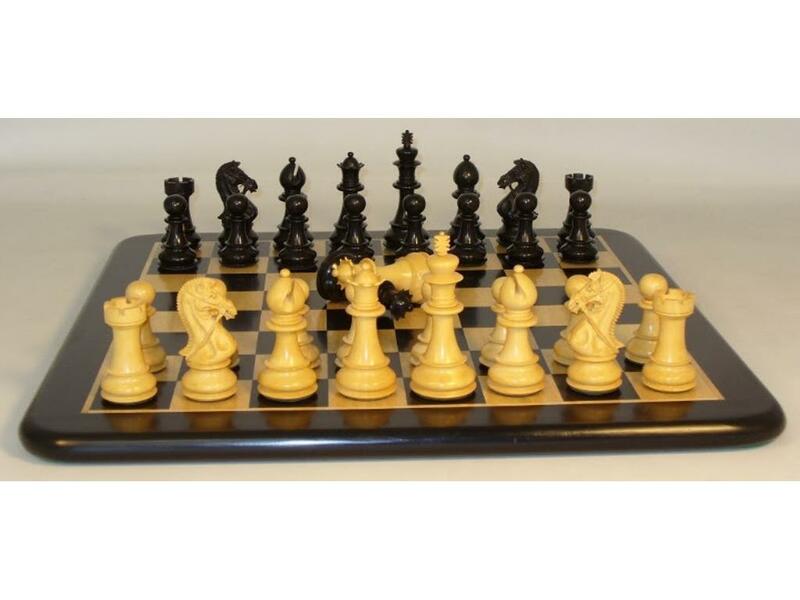 Ebony chess men Triple Weighted, Double Queens, Leather based, 4.5" King Height, 1.9" King Base. 21" Ebony/Maple Thick Wood Veneer Chess Board. Page P4270 Copyright © 1999-2019 GammonVillage Inc., USA. All rights reserved.